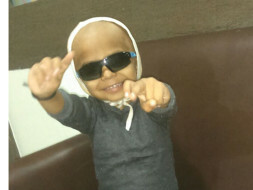 Pls Help Fundraising for brave 2 year old Hitarth with blood cancer.. I belong to a middle class family. 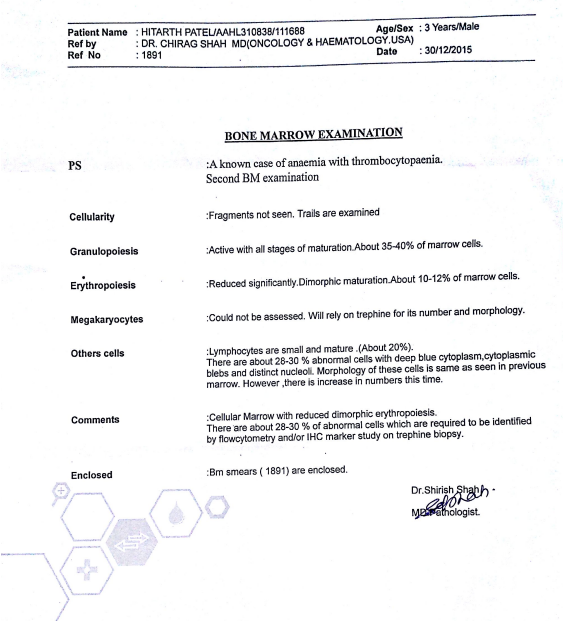 My child was suffering since August 2015 we were trying everything to detect what the problem was, but even after spending hard-earned money (nearly 7-8 lakhs) we could not find the cause of his illness. 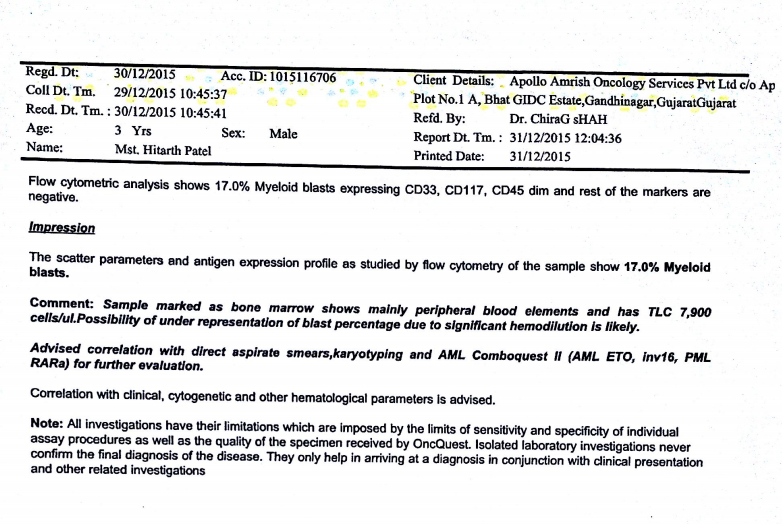 Finally in mid November, doctors told us that his BONE MARROW was not functioning and was FAILING. After consulting city doctors about the cost of the procedure, we were in deep trouble and so we decided to check with the Civil Hospital (Govt. Hospital). 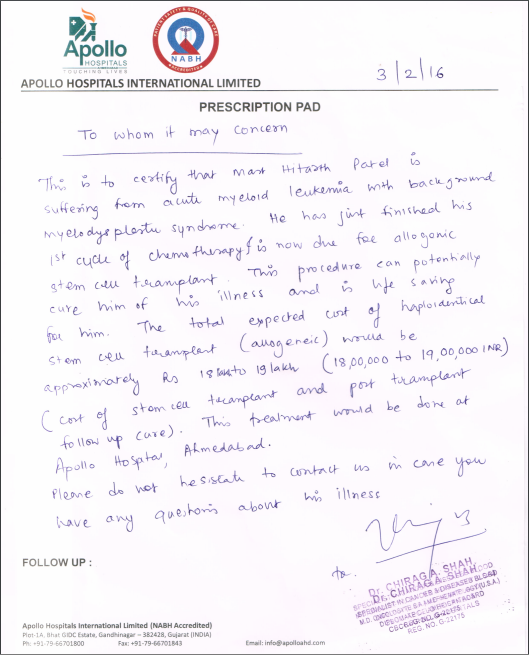 But when we checked if the hospital had proper transplant facilities, they told us it was only limited to Adults. And so, there is no Pediatric Emergency care for such small kids for this particular illness. Having left with no choice we went to Apollo hospital @ Ahmedabad. When we were about to start the search for the Bone Marrow donor, the doctors found that Hitarth had been attacked with Blood Cancer (AML) and we started his treatment there itself. But the cost is very high which is out of our hands. The further course of treatment is mandatory. And we are not in a situation to handle the cost of it. As understood from doctors that this disease in small kids is very very rare. Considering the criticality and the situation, I on behalf of my family request you to pray for the little soul.